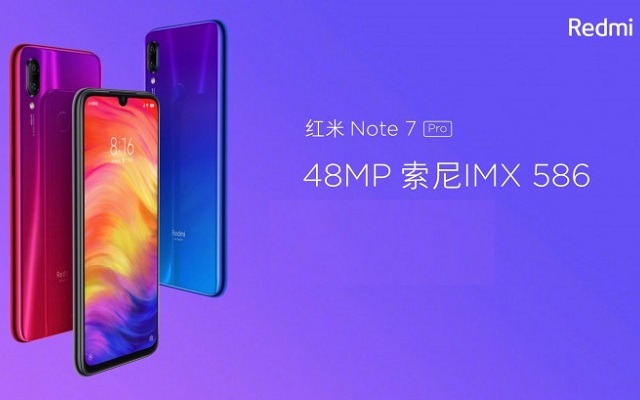 After the successful launch of Redmi Note 7, the company is planning to launch a more powerful version of the device, Redmi Note 7 Pro. Redmi CEO asked fans what do they want from the Redmi Note 7 Pro. After taking many suggestions from the fan. Lei Jun, Xiaomi CEO, said that the company will launch Note 7 Pro with 6 GB of RAM. Xiaomi is reportedly working of Note 7 Pro that will launch with NewSnapdragon 675. According to the previous specs revealed on Weibo website, the phone will launch with a 48MP camera. Moreover, Redmi Note 7 Pro will use a Samsung ISOCELL Bright GM1 sensor. The best thing about the device is that it will launch Qualcomm’s brand new Snapdragon 675 chipset. Recently, the company has announced a big achievement that the First Redmi Note 7 Flash Sale Ends in Minutes. Xiaomi has sold 1,00,000 devices in just 8 minutes and 36 seconds. As per the specs of regular Redmi Note 7, it has 6.3” LCD screen with a waterdrop notch for the selfie camera and Gorilla Glass on top. The resolution is Full HD+ and Redmi quotes a screen-to-body ratio of 84%. We may expect better specs in the Redmi Note 7 Pro. Let’s see what Xiaomi will offer in the upcoming phone.